Elf Event home HamiltonThe PromNetworkTo Kill a MockingbirdKiss Me KateHadestownOklahoma! 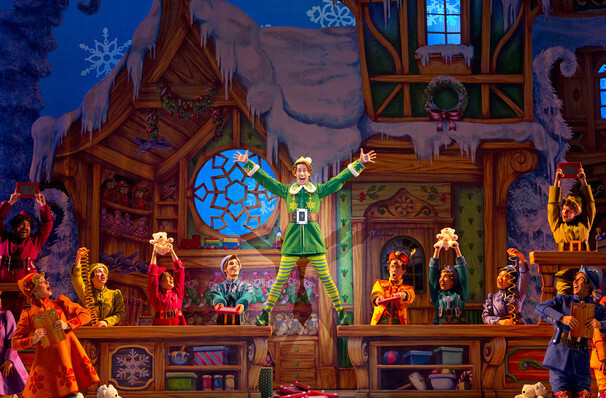 "Elf is happy enough for families, savvy enough for city kids and plenty smart for adults!" Buddy is coming to New York City! 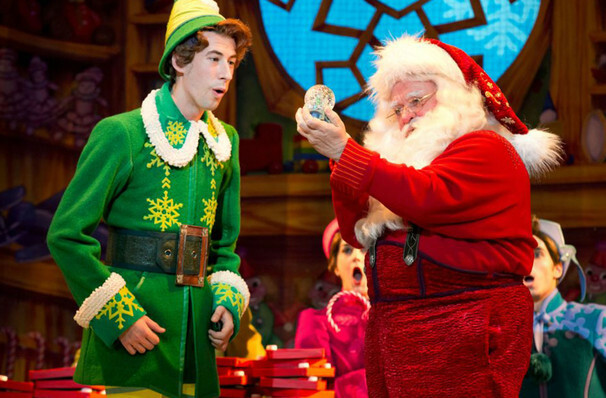 Grab your winter boots because Elf The Musical is coming to Madison Square Garden Theatre this December 13, and runs through December 29! 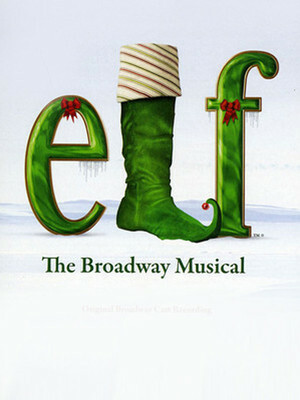 Based on the beloved film hit, Elf features songs by Tony Award nominees Matthew Skylar and Chad Beguelin. 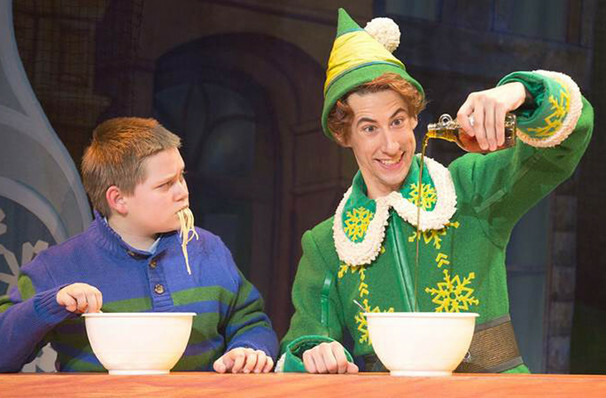 This heartwarming musical follows Buddy the Elf on his adventure to find his real family, as well as bringing much-needed Christmas spirit to the city of New York. This modern-day classic is sure to make everyone embrace their inner ELF! Buddy is a young orphan child who mistakenly crawls into Santa's sack of gifts and is taken back to the North Pole! Unaware that he is actually human, and not an elf like the rest of the community around him, Buddy's enormous size and poor ability to make toys cause him to face the truth. With Santa's permission, Buddy embarks on an adventure to New York City to find his real birth family. On arrival Buddy notices that New York doesn't share the same outlook on Christmas as he does, Santa isn't real in their eyes. His Father Walter is a book publisher and is more concerned about his job, rather than his family. It's up to Buddy to inject the festive spirit into the city of New York, as well as bringing his family together to remember the true meaning of Christmas. In the original film, Buddy never reveals his real name. However, in this musical he does! What is it? Well, there's only one way to find out... You know what to do! Darren Biggart, Allyson Carr, Allyson Kaye Daniel, Paul Ianniello, Eric Anthony Johnson, ChanDon Jones, Drew King, Andrew Kruep, Emily Larger, Eric Jon Mahlum, Frankie Paparone, Emily JeAnne Phillips, Shaun Repetto, Wyatt Rogers, Morgan Rose and Emily Grace Tucker. Sound good to you? Share this page on social media and let your friends know about Elf at Theater at Madison Square Garden. Please note: The term Theater at Madison Square Garden and/or Elf as well as all associated graphics, logos, and/or other trademarks, tradenames or copyrights are the property of the Theater at Madison Square Garden and/or Elf and are used herein for factual descriptive purposes only. We are in no way associated with or authorized by the Theater at Madison Square Garden and/or Elf and neither that entity nor any of its affiliates have licensed or endorsed us to sell tickets, goods and or services in conjunction with their events.